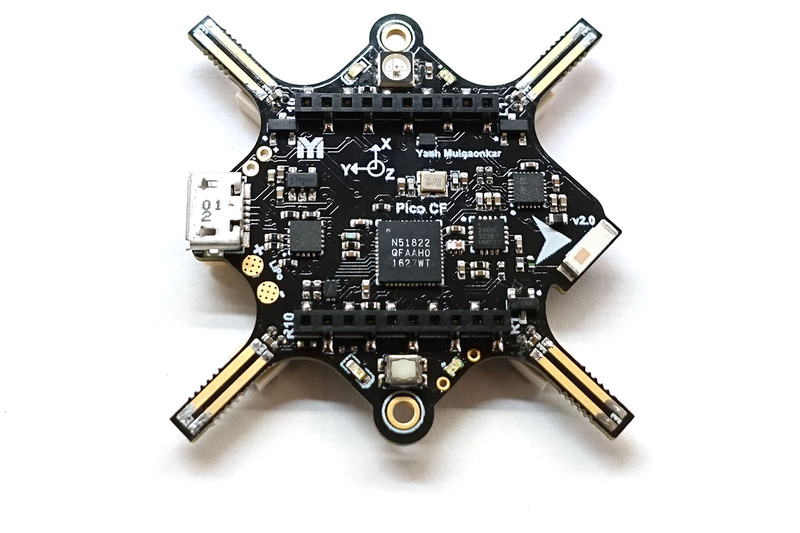 The pico quadrotor is the smallest known quadrotor capable of autonomous flight in a motion capture environment. 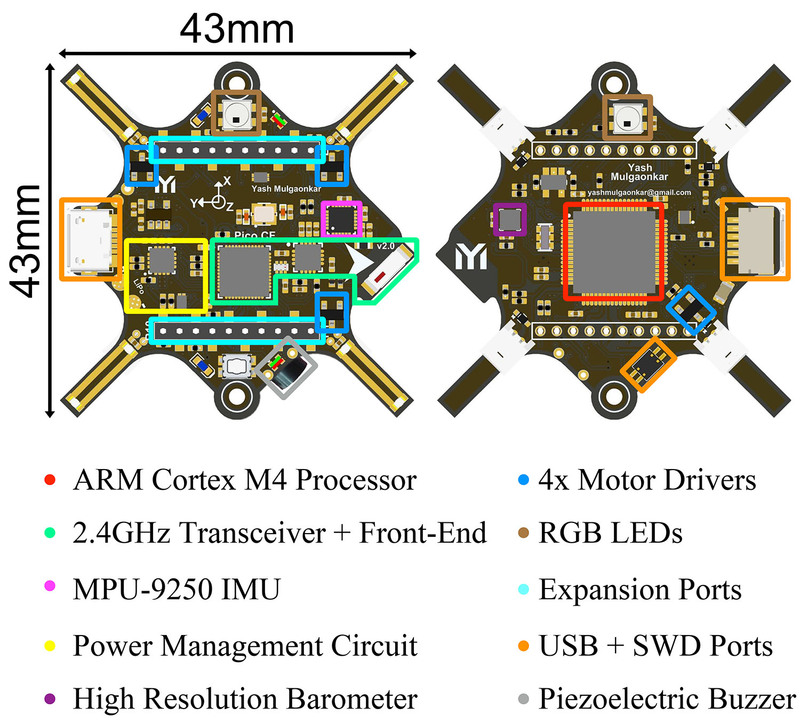 To achieve the small size and footprint, we custom built the autopilot on a four layer PCB which also forms the main structural frame of the robot. This robot is compatible with several different flight software stacks with little software modifications. These include the PX4 and Crazyflie stacks.